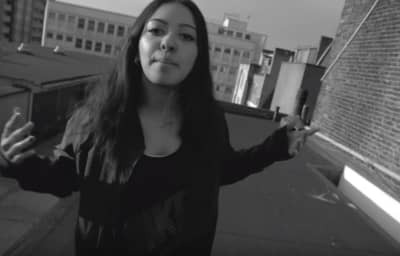 The singer-songwriter shares the video for her Notorious B.I.G-sampling track, produced by DaVinChe, out now. Swedish singer-songwriter Noonie Bao premieres the video for "Reminds Me" - the first single from her forthcoming album. The rapper teased Views From The 6 by projecting art on a London building last week, take a look at his longstanding obsession with the U.K.
East London club Dance Tunnel has announced it will close its doors permanently this August, blaming Hackney licensing regulations. It goes on sale via GolfWang.com at 5pm PST. Kemosabe Records is reportedly set to "downsize" amid the company's high-profile legal battle with singer Kesha. Kesha and Iggy Azalea go horse-riding after news that a New York Judge had dismissed all but one of Kesha's claims against producer Dr. Luke. 18-year-old rising U.K. R&B singer Jorja Smith singer recruits Maverick Sabre for her second single. Faris Badwan's side project snuck into the Queen’s Gallery ahead of the release of their third album, Treasure House, out June 3. SECURITY is out April 21 on Dre Skull’s Mixpak label.